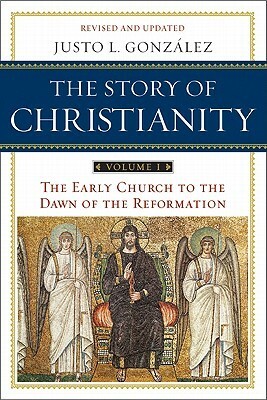 In The Story of Christianity, Vol. I (Harper One, 2010), Justo González explains how Pope Gregory “the Great” (r. 590-604 CE), as a devoted student of Augustine and an influential church leader, played an important role in the development of the doctrine of purgatory, which, as González writes, was based more on speculation than doctrinal certainty. Catholics deny this, of course, pointing to the the book of II Maccabees (in the Apocrypha, which Protestants don’t recognize as inerrant Scripture), and arguing that some New Testament texts support the existence of such a place. Such arguments are worth examining more closely, and I hope to eventually do so myself, but for now, I leave you with González, a knowledgeable church historian to whom the labels “anti-Catholic” and “Fundamentalist” hardly apply. “Gregory lived in a time of obscurantism, superstition, and credulity, and to a degree he reflected his age. By making Augustine an infallible teacher, he contradicted the spirit of that teacher, whose genius was, at least in part, in his inquiring spirit and venturesome mind. What for Augustine was conjecture, in Gregory became certainty. Thus, for instance, the theologian of Hippo had suggested the possibility that there was a place of purification for those who died in sin, where they would spend some time before going to heaven. On the basis of these speculations of Augustine, Gregory affirmed the existence of such a place, and thus gave impetus to the development of the doctrine of purgatory” (288).